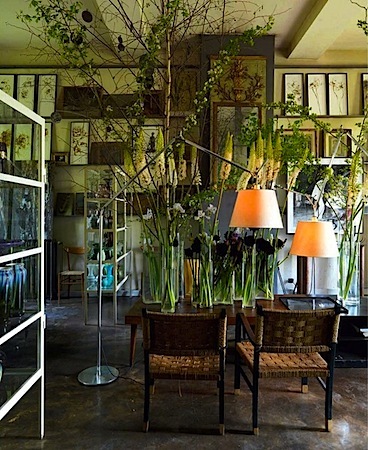 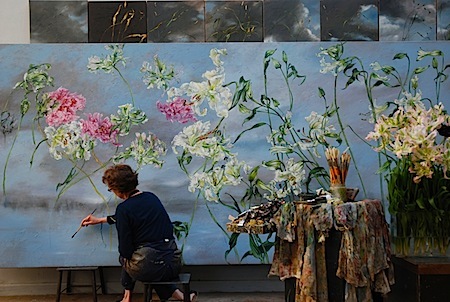 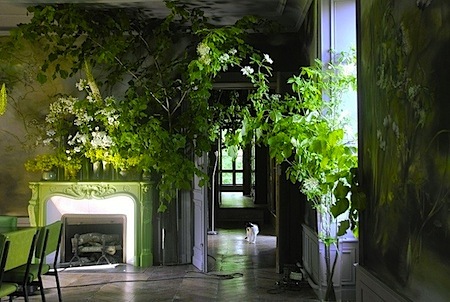 CLAIRE BASLER is a French artist inspired by the nature outside her window. 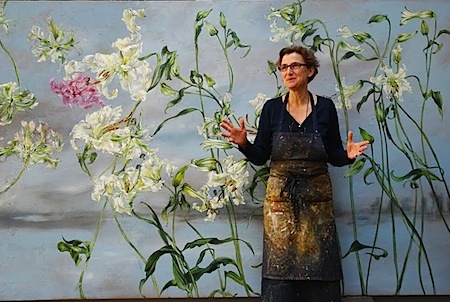 Claire lives in the French countryside outside Paris where she paints florals and landscapes on giant canvases filled with energy, shadow and light. 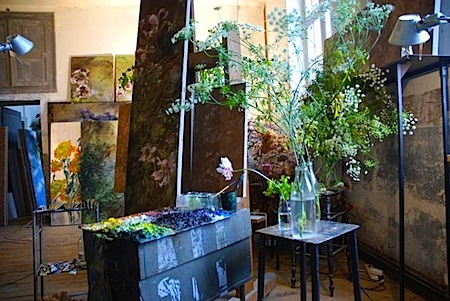 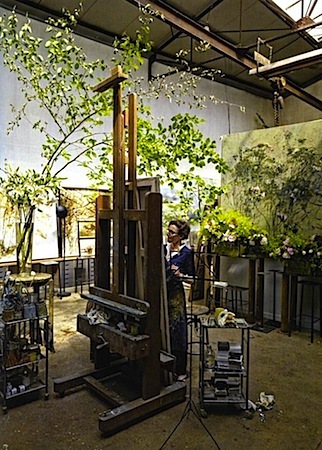 She awakens everyday to a home and artist’s studio filled with flowers, plants and over-sized murals and I imagine it must be idyllic for Claire to spend her days immersed in her passion for painting her natural surroundings. 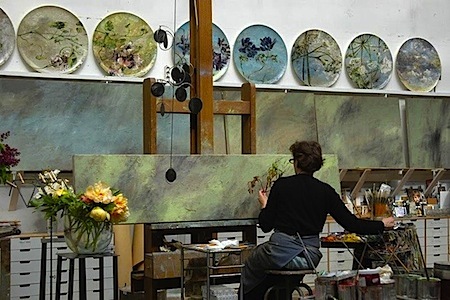 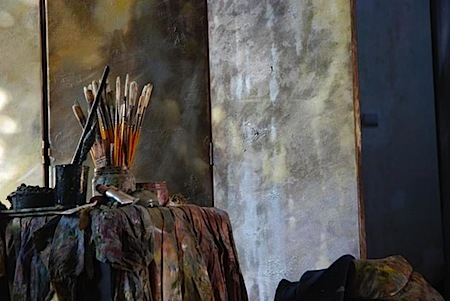 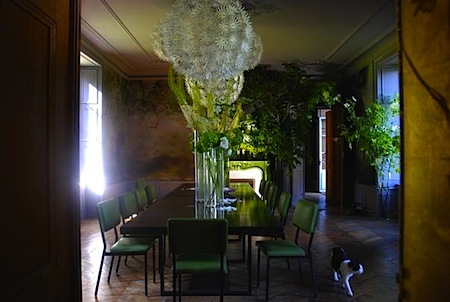 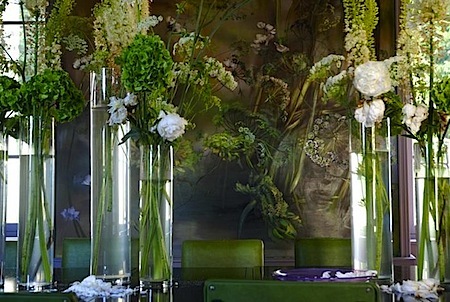 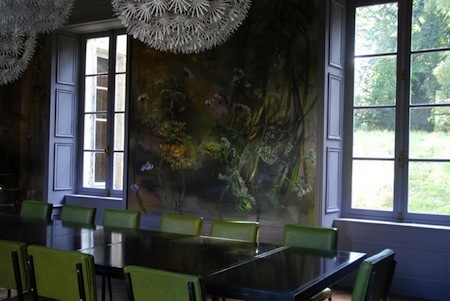 Enjoy a peek inside her studio and stunning dining room.